Around 1964, I was living in California. On television there was a show called Treasure With Bill Burrud. One of the episodes was on a Spanish explorer named Francisco De Ulloa. The episode went on to say in 1539, he was sent by Cortez during their recent plunder of the Aztecs up the coast in search of the Seven Cities of Gold and of course further exploration. Ulloa set sail with three ships some which carried untold wealth and Aztec treasure to further the expedition. Ulloa actually discovered the Sea of Cortez proving what is now the Baja Peninsula was not an island. He sailed out of the east coast of Baja and continued north up Pacific Coast. One of his ships sank, a second one was sent back to Mexico. All treasure was put on the last ship, the Trinidad. Here is where the mystery begins. Some say he never made it as far as the coast of California , others say he did and in fact beat the alleged first European to land on what is now California. 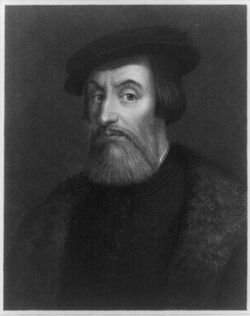 His name was Cabrillo who landed in 1540, two years after Ulloa may have. To get back to 1964, the t.v. show “Treasure” told most of the story and stated that the Trinidad made it into Oceanside, California inlet. Ulloa and most of his crew died while on shore maybe from dysentery or scurvy or whatever. The ship was wrecked in a storm. The show actually showed a picture of Ulloa’s grave. Being I lived close enough I decided to find the grave and in fact did. After finding it, I shelved Ulloa for some fifty years…until last month I decided to go to Oceanside for one month and see what I could find. Was this true or made up? What happened to treasure that was on theTrinidad? Did Francisco Ulloa beat Cabrillo in discovering California? As I drove to Oceanside I conjured getting to the truth and maybe finding treasure washed up and buried beneath the sands on the beaches from the wreck of the Trinidad. Stay tuned. I’ll continue the story soon…come back for the next part of this mystery.